IBM beat the pants off some really smart jeopardy champions a couple years ago and has recently been involved in a project to help doctors more quickly and accurately diagnose disease, find new treatments for cancer . . . jobs you’d expect a super brainy computer to do. But Watson has a new side gig as a world-class chef creating great new recipes. Earlier this year, IBM’s Watson computer teamed with New York’s Institute of Culinary Education. Watson and his handlers are now creating recipes that combine ingredients available to humans the world over in novel ways, raising eyebrows in the process. One of Watson’s creations was the Austrian Chocolate Burrito, pictured below. The biggest knock against Watson was that (s)he wasn’t creative and so this became a challenge for IBM engineers to overcome. The team set out teaching Watson about existing data on food, human proclivities and cooking techniques. With thousands of ingredients to choose from and a “knowledge” of how ingredients are typically combined, Watson has gone off the beaten path and come up with mind-boggling recommendations for new dishes that are getting rave reviews. In order to test out Watson’s new dishes, IBM has created a food truck that is traveling around the United States, serving up Watson’s dishes. It is expected that IBM, at some point, will issue a “killer app” that anyone will be able to use in their kitchen at a reasonable cost. In fact, a Chef Watson app is currently in Beta. Chef Watson creates his own recipes or can create recipes through an interactive software and input from a customer. The customer chooses various parts of a dish from Watson’s menus and receives suggestions from Watson about what might work, if needed. IBM has teamed with Bon Appetit Magazine and is adding to the website’s recipe index. For more, see the IBM Watson Cognitive Cooking Fact Sheet. 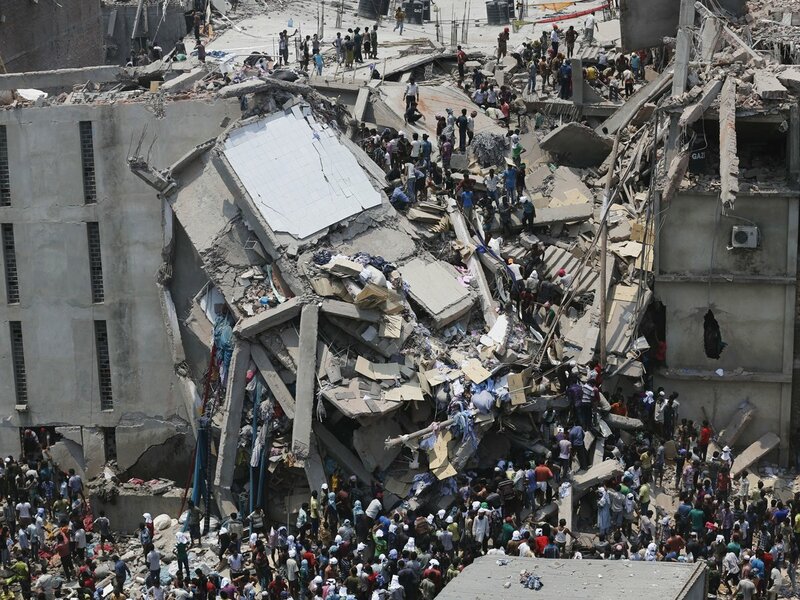 What Caused The Bangladesh Building To Collapse Killing Over 800?